GSA has extensive experience related to groundwater resources and managed aquifer recharge having conducted over 30 groundwater recharge projects in the western United States, with a total recharge capacity exceeding 500,000 acre-feet per annum. 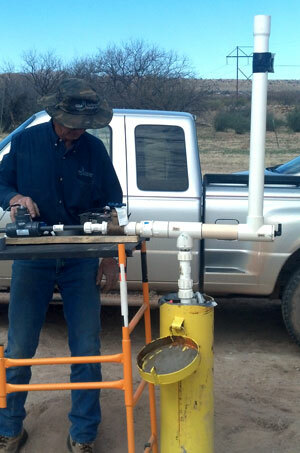 GSA also specializes in the design and installation of innovative vadose zone and groundwater characterization systems that have been used to monitor irrigation efficiency and groundwater and soil salinity. In addition, we have published numerous manuscripts on groundwater recharge processes and instructed short courses on siting groundwater recharge projects. GSA also provides technical services to evaluate groundwater resources, surface water-groundwater interactions, and the effect of urbanization on natural groundwater recharge rates.